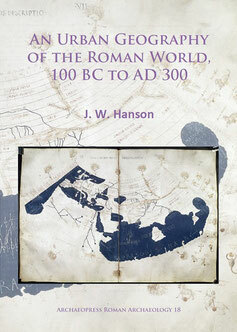 In autumn, during one of my visits in the library, I've found a relatively new and for me very interesting book: J. W. Hanson's An Urban Geography of the Roman World, 100 BC to AD 300, which was published in 2016. If it had been available a few years earlier it would have saved me hundreds of hours of work when I begun compiling the Roman Empire map in late 2013 and during our Antonine Plague project before. The heart of the book is a comprehensive catalogue of Roman cities. In total there are 1388 entries sorted by Province and name. If available, Hanson has collected all essential hard data usually associated with the centers of ancient life, such as their size, monumentality or civic status. 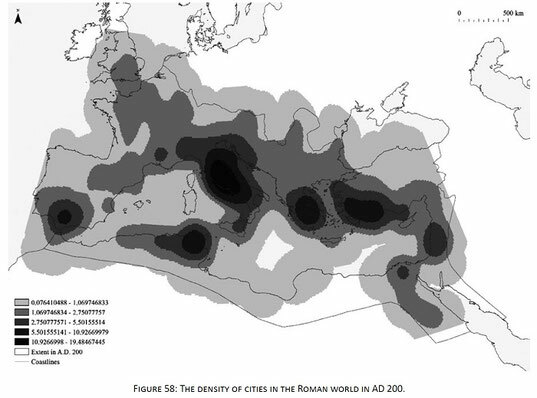 Additionally, An Urban Geography of the Roman World features almost 200 pages of introductory text into Roman urbanism, as well as statistics and analysis of the collected data. The latter is illustrated with a greater number of graphs and figures. Hansons number of 1388 cities also compares favorably to the 1200 Roman cities I’ve managed to include on my Imperium Romanum map. Unlike similar works the book is not only price for the institutional market, but also offered as an very affordable Ebook.